Blumhouse can arguably officially take on the mantle of premiere indie horror film production company; like Hammer Films in the 1960s & 70s, we have come to expect a certain level of horror with more than a little dash of social commentary from the still young powerhouse. 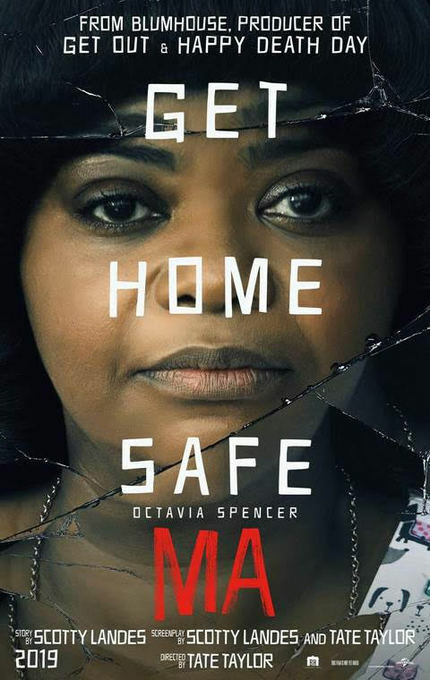 One of their most recent productions, Ma, is set to be released in May, and we now have our first look at the poster and trailer. Octavia Spencer stars as Sue Ann, a loner who keeps to herself in her quiet Ohio town. One day, she is asked by Maggie, a new teenager in town (Diana Silvers, Glass), to buy some booze for her and her friends, and Sue Ann sees the chance to make some unsuspecting, if younger, friends of her own. It seems that we've gone from ex-lovers and strange men stalking their young prey, to older women (also see Isabelle Huppert's latest Greta), as there seems to be a continuing interest in seeing young women in danger. Ma does have its share of young men in peril, and it's nice to see Spencer take on a lead role (which has been to long in coming, given her talent and range). And with a pretty stellar supporting cast that includes Allison Janney, Juliette Lewis, and Luke Evans, I'm guessing this is a psychological thriller as much for adults as it is for the teenage crowd represented by its young stars. Check out the trailer below. Ma is scheduled for release on May 31, 2019.